I was recommended to Alan way back in 1982. He is a superb accountant. He is very meticulous and his advice is sound. When I first hired him he had to correct my previous accountants work and I was refunded a huge income tax refund. He was my business accountant until 2005 when I retired. Have no doubts for anyone who is seeking a superb professional. Alan Solomons is the right person. He is honest, has the highest integrity and very inventive. I urge anybody who wants to change. Have no doubts of changing to Alan. Thank you very much for the excellent work you did in negotiating with the bank on my behalf. You agreed an interest rate, which was at least 0.5% below that which I might have expected to achieve without your assistance. Most importantly, the arrangement was in place in time to enable the project to proceed. Some years ago a client borrowed £1 million to buy a nursing home. The life assurance premiums over the life of the mortgage were very significant having been provided by another broker. I asked to have a look at what we could do. By taking a totally different approach and using lateral thinking and negotiating with the bank the premiums were dramatically reduced saving, in today’s terms, between £20,000 and £30,000 over the life of the mortgage. Just a line to thank you for all you and your team have done. I still find it hard to believe that not only do I have to pay no extra tax or nor do I have any penalties to pay, but that I have five letters of apology from the Inland Revenue for how they conducted the investigation. In addition they have paid back most of your fees to me. You also saved me £10,000 in tax my previous accountants did not claim for me. 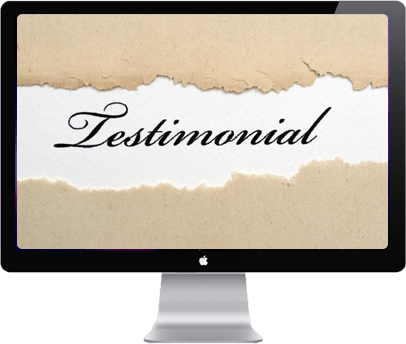 I am really grateful for what you have done, and realise from what I have heard from other people in business that I could have ended up paying anything from £10,000 to £65,000 in back tax and penalties, so the result you achieved is truly wonderful. We have been acting for a senior executive of a large quoted plc the last 10 years during which he has paid little or no income tax due to the tax strategies that we have found for him. This is someone whose earnings were mostly of the order of £200,000-£300,000 per annum. I appreciate the considerable assistance that you gave in helping to bring a particular commercial mortgage to a satisfactory completion. As Solicitors for the institutional lender dealing with a large commercial loan, we much appreciated your timely intervention as the accountant for the borrower, which assisted in bringing the matter to a successful conclusion for all parties. Your professional and helpful attitude to the matter was very much appreciated in the circumstances. A client who bought a nursing home for over £1 million thought that he had £1 million mortgage in place. After exchanging contracts he discovered that the bank was only prepared to lend £800,000. Having put his cars on HP, used his gold cards for overdrafts and drawn the maximum he could on those gold cards he had no further ways of meeting the shortfall. He was told that if he could not complete within six weeks then the vendors were entitled to sell the nursing home to a third party and come to him for the shortfall. Maybe as much as £500,000. After several weeks working with other people he came to us to see what could be done. After one week his solicitor faxed me to say that we have put things back by two weeks. At the end of the following week the same solicitor sent a fax which read “how did you do it!” By talking to the bank, the bank’s solicitor and the Local Health Authority we found a solution that was satisfactory to all concerned. Thank you for your letter with the new figures. I agree with the figures enclosed…. for the 3 years that were investigated. I would like to say thank you very much for your help in this matter, but I hope never to have to go through it again. Once again, thank you very much for all you’ve done. I must say how grateful I am for the unsolicited advice that you gave me concerning my property development which was so badly affected by the recession. I thought the £30,000 that I was losing on my property development was all dead money. It was a pleasant surprise to find that not only were you able to get instant tax relief of £7,500, but were also able to turn it to advantage to give me three years of no tax bills and an additional £1,000 refund in respect of my wife. A client who was, until recently a senior executive in a large quoted plc earning between £200,000 and £300,000 per annum plus share options bought a franchise. As with any new business, especially franchises, in the early months and years there is significant expenditure in relation to a small but growing income. By providing the right tax planning advice we are expecting to get this client approximately £60,000 to £120,000 as well as creating a director’s loan account of between a quarter and a half million pounds so that he can draw this money down from the company tax-free. We were first recommended to Alan Solomons + Co when we were selling our Ironmongers business. They advised us on the tax aspects of the sale and helped in the final negotiations. I must admit I had certain apprehensions when we went to the meeting for the final negotiations. The other side was a company that had a team doing nothing but going round the country buying up ironmongers. How was a local accountant going to have any impact on them? As it turned out Mr Solomons convinced them that our business was worth much more money than they were offering. Indeed much more than the maximum that their Chairman had authorised them to offer. They had to go back to him to get authorisation for an offer above the maximum already authorised, which they duly obtained. On top of this it later transpired that Mr Solomons had slipped in a clause that meant we were paid by the purchasers the full tax relief on our single premium pension premium instead of only one fifth. Their accountant did not pick up on the tax implications. This meant that we received an extra £27,600 plus £34,000 from the increase in the final price. The original offer of £286,000 had now become worth £347,000. After the business was sold we wondered how to invest the money. Hearing that Mr Solomons specialised in dealing with investments we were more than happy to let him advise on all our monies. We had sizeable portfolios of shares that Mr Solomons wisely advised us to liquidate. Luckily most of our shares were sold before a crash in the market. We have been happy with his advice ever since. A couple of years ago we were approached by a firm of accountants who had a client with only three months to live. We later discovered that one month had already gone by leaving us with only two months to find and implement an inheritance tax saving strategy. Most people are aware that most inheritance tax saving strategies require either seven or at least two years to elapse. We found a strategy that was implemented in time that saved the family £600,000 inheritance tax which was just as well as the client died very much in line with the doctors prediction. A paver came to me in the middle of an investigation. I told him I would be happy to act once the investigation was completed. He was insistent that I took over immediately. He said in a meeting with his accountant and the inspector the inspector showed a thousand pounds worth of petrol invoices between two car services where according to the mileage on the service invoices the car had only done 1000 miles. They also showed invoices for fuel in Dublin, Belfast, Luton and South London all on the same day. The paver then said that he had phoned his accountant to say that he had found more petrol invoices in a draw. His accountant said to him don’t worry about those we have plenty of petrol invoices in our office. The opening remarks by the assistant district inspector and manager of the investigation unit was that if the amounts were larger our client would be facing potential criminal prosecution. During the meeting the inspectors were adamant that no expenses would be allowed without invoices. I argued that some expenses for items bought in the market the client wouldn’t have invoices for. After several adjournments and two and a half hours later we were faced with just one inspector who said loose tools shall we say £100 and I said make it £150. So we went on through all the items where there were no invoices agreeing a figure to allow. We were then told that the inspectors were happy that my client was not involved and that it was the accountant who, off the record, was, in their opinion, guilty of inflating expenses. Just a brief note to thank you for your help in the merger negotiations between My Company and the New Company. At the time I was happy to get about 33% of the shares of the combined company. However, your view was that I should get more. While doing the due diligence you not only persuaded me that I should ask for more but also created the environment where the other side were also so persuaded. This resulted in a deal where I got 40% with incentives to bring me up to 44% over a short period of time plus 50% of the dividends. Over the years I have used you as a valuable sounding board when difficult situations have arisen and would like to say how much I have appreciated your advice and our discussions over the years.